Short answer: pretty much, but I’ll still keep it around for the archived material, such as my bicycle trip across the USA, and my Kenmore dryer mounting hardware post which seems to be of use to many. Also a couple of posts on using Open Street Maps and using my Garmin for on-bike navigation seem to be of interest to more than me! This entry was posted in Admin, Bicycling, Cabin, Chess, Other, Radio, Running, Tech on December 31, 2016 by BikingBrian. This entry was posted in Tech on November 5, 2018 by BikingBrian. This entry was posted in Tech on July 27, 2018 by BikingBrian. This entry was posted in Tech on April 1, 2017 by BikingBrian. I just had my one month follow-up doctor appointment for the ankle and foot sprain. The swelling has gone down enough to start physical therapy to regain the lost range of motion. I go back to the doctor in an month, I should be at least walking in the boot by then, if I don’t have it off already by then! In celebration, I set up the bike on the indoor trainer and went for a short ride. This entry was posted in Bicycling, Running on March 1, 2017 by BikingBrian. At run club a little over a week ago, I rolled my left ankle on a really steep concrete to pavement transition. It hurt, but I was able to walk the remaining 50 yards back to the start. But then later that night it swelled up and it hurt to put any weight on it. This entry was posted in Bicycling, Other, Running on February 9, 2017 by BikingBrian. 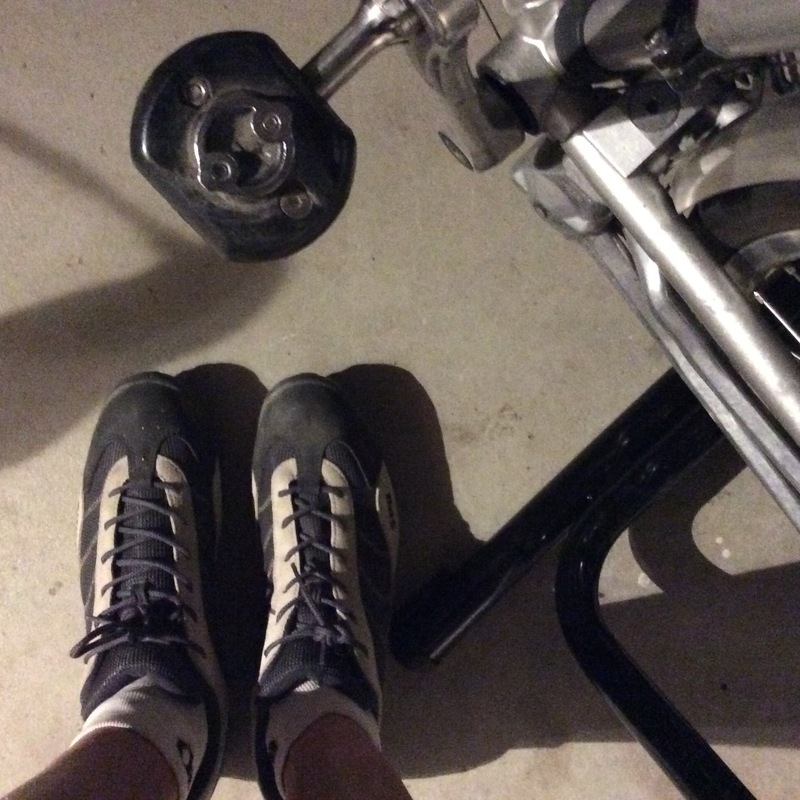 This entry was posted in Bicycling, Chess, Running on February 21, 2016 by BikingBrian. I have to admit that I was a bit underwhelmed after purchasing the original iPad about five years ago. I bought it with the intent of leaving it on the coffee table and using it as shared internet/app device for the family. But Apple did not design it with multiple user profiles, which was a major disincentive to loading my personal and work email accounts and calendars on it. Apparently Apple’s vision was for the iPad was as a single user device. Eventually the iPad was essentially taken over by my young son as a toy. Later I found a use for it as a portable chessboard of sorts, being able to move the pieces to analyze games and variations much faster on an iPad app rather than a physical chessboard. That was around the same time my son got frustrated with not being able to install the latest and greatest apps on iOS 5 (at the time of this writing, iOS 9 is the latest). So the iPad was pretty much mine again. This entry was posted in Chess, Tech on November 4, 2015 by BikingBrian. A couple of weeks ago, I got an email from my hosting provider telling me I had infected files on my site. It looked like spam, so I ignored it. Then a few days later, I got another similar looking email, but this time they said that due to my infected files, they shut down access to my site until the infected files were removed. I went to my site, and sure enough, it was shut down. This entry was posted in Admin, Tech on August 25, 2015 by BikingBrian.